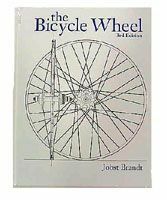 "The Bicycle Wheel" by Jobst Brandt. A legendary cycling engineer's view of the intricacies and dynamics of the bicycle wheel. A perfect companion to Gerg Schraner's "The Art of Wheelbuilding".